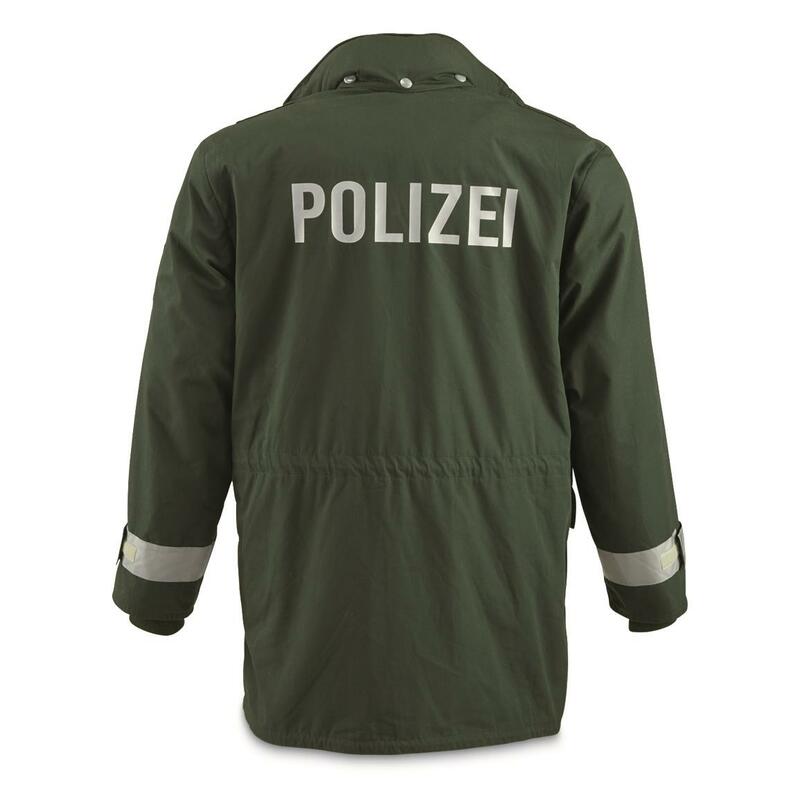 For patrolling the streets and backwoods during cold, wet weather you just can't beat this German Police Surplus GORE-TEX Parka. The quality is unbelievable for the price! 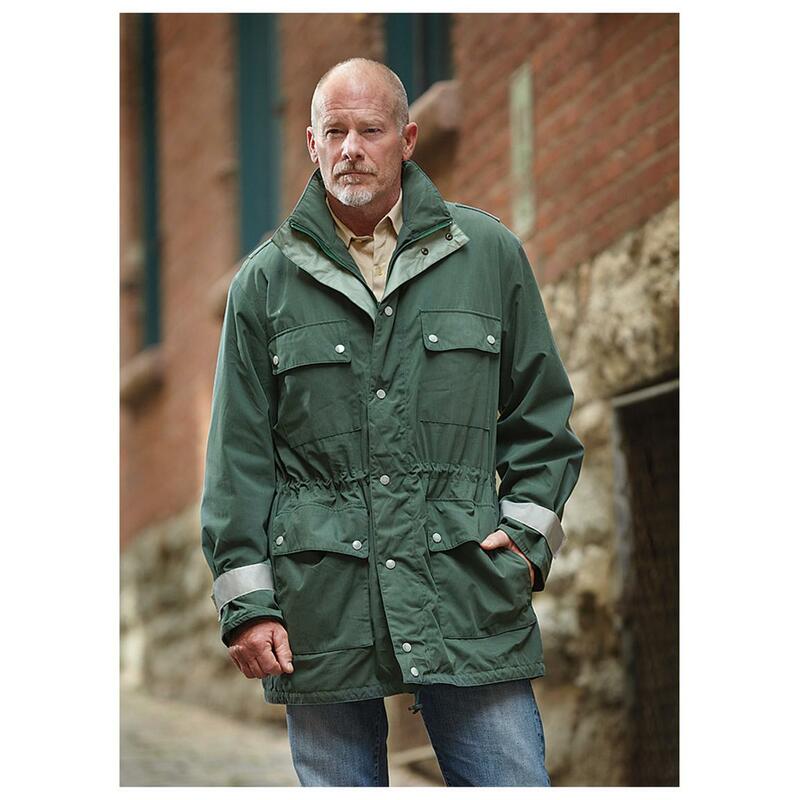 Rugged, dependably warm, GORE-TEX waterproof/breathable with removable fleece liner…a jacket like this would cost 5x more in a sporting goods shop or department store. Everything about it is top quality. 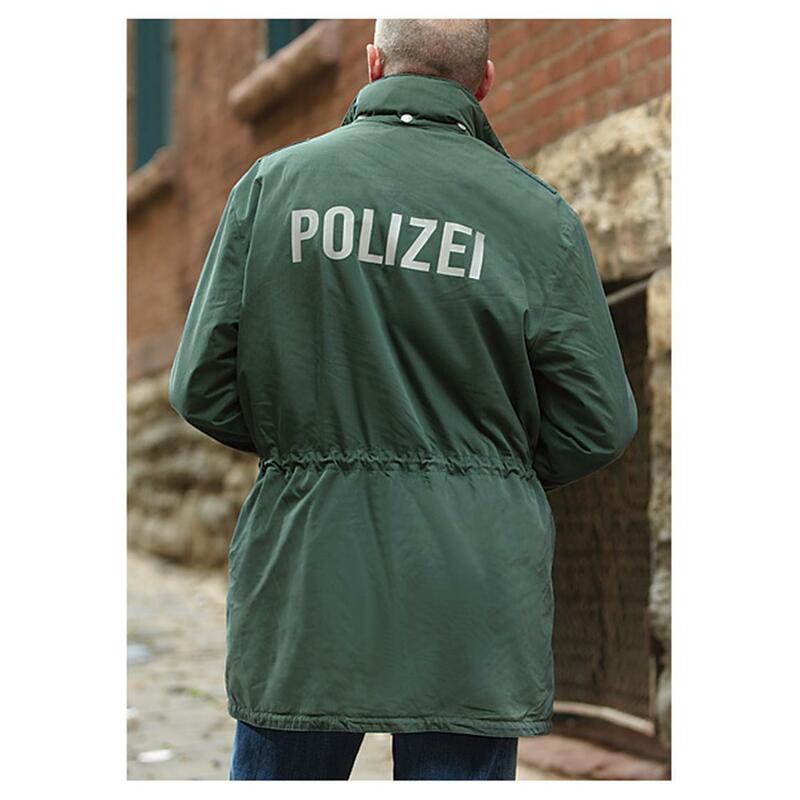 Read the customer reviews and see why this German Police Parka just might be the ultimate surplus value. Condition: Like-new, never issued, may show signs of long-term storage. German Police Surplus GORE-TEX Parka with Liner, Like New is rated 4.7 out of 5 by 271. Rated 5 out of 5 by Brad from Couldn't Be Happier This is a very nice parka. Mine arrived in very good condition with just minor wear, really pleased with the condition. Size was good - I am 5'10", 190lbs and the Large is a good fit. Can't beat the price for such a nice piece of gear. The right-side bottom pocket has a slit at the top that allows you to reach through to your pants pocket or other gear under your jacket. I like this feature but probably would keep my keys in another pocket if I was going to be active.The liner has two zip-up pockets and two pen slots on the left side - the bottom zip pocket is a generous size. Right side of the liner has a zip-up pocket. I like mine so much I am considering ordering another. Rated 4 out of 5 by JOHN from Looks good The shelves are a tad short for me when I bought an XL. In a dress shirt I wear 17.5 neck and 36 " shelve. Rated 5 out of 5 by Clay from Exceptional Parka for great price. These are fantastic value for cold nasty weather activities. I bought these for myself & 6 other friends over the years. The sizing is sketchy, my order (2 XL, 2 XXL) sizes marked 28, 54, 110 & 114. The the 28 = Large, 54 ~= XL, the 110~= 2XL, & the 114 a loose 2XL. I returned 3 of 4, but am very happy with the quality and price. Rated 5 out of 5 by J Smith 071946 from Great coat! My husband bought this coat and he thinks it is great! He had worn it outside in the cold and in the rain and he has high praise for it! Rated 3 out of 5 by Jare from Cool product but too big Bought for my gf, got the smallest size (medium). It’s HUGE on me and I’m XL. Rated 5 out of 5 by Michael from Excellent Parka Was used during the Polar Vortex Jan. 2019, warm and toasty. Put a yellow vest on over the coat to block letters. I am a trend setter for winter wonderland, looking good and prepared for winter. Felt good with temps below zero. This is the go to gear for the deep cold. Ran a little big so works with layers, just plain works. Get it. 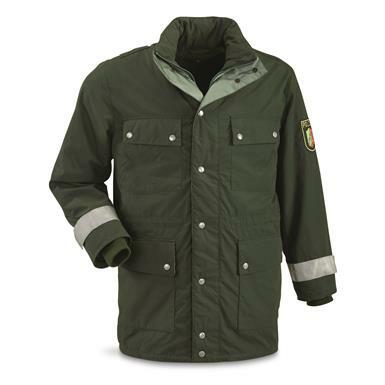 Rated 5 out of 5 by Kable from Great Jacket Very warm, and true to fit! nice big roomie pockets. Rated 5 out of 5 by Glen from WOW $ 40.00 !! This is easily a three season jacket. Gortex for 40.00, just unbelievable! This jacket fits very true to size so if you wanted to layer you should order a size up.